Celebrate 'The Book of Life', now available on Digital HD! 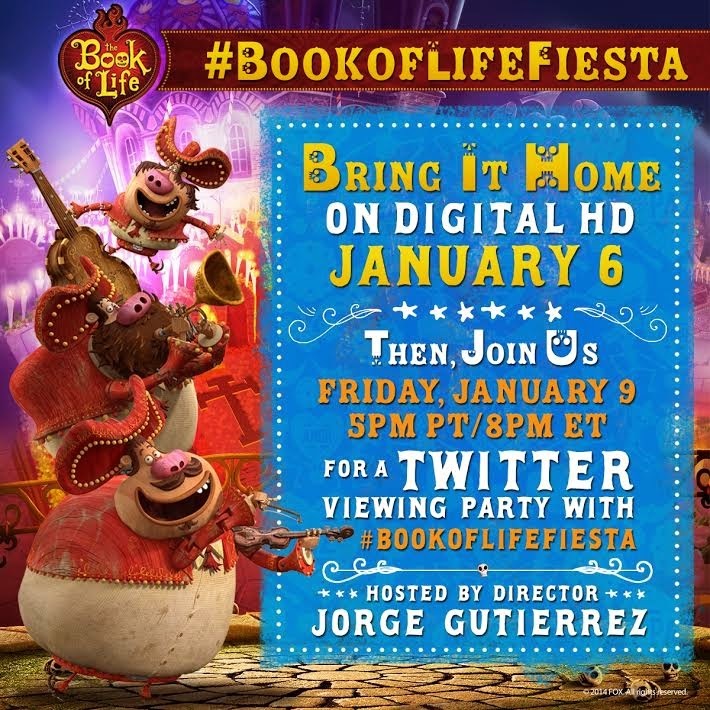 Join in Friday, Jan. 9 5pm PT / 8pm ET for a Twitter Viewing Party with #BookOfLifeFiesta. Everyone will tweet along with @BookOfLifeMovie and Director Jorge Gutierrez using #BookOfLifeFiesta.